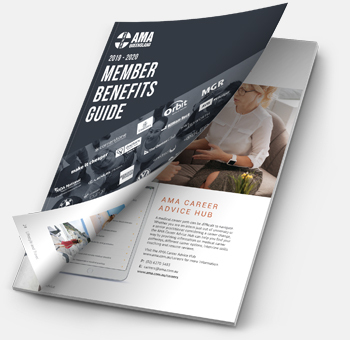 AMA Queensland membership provides trusted workplace relations advice, access to a comprehensive range of tools and support to help you build a thriving career in medicine along with quality professional development. You also have access to our exclusive network of corporate partners in banking and finance, insurance, legal and accounting services along with discounted vehicles and travel services. Make your tax-deductible membership go further by understanding the benefits on offer to you. Cornerstone Medical Recruitment - 5% discount on placement services across all specialist medical divisions (excludes AMA Clients with existing service level agreements),up to $500 toward travel, relocation or accommodation for permanent placements for AMA members, free career pathway advice and support, and guidance and support on staff recruitment, retention and engagement. William Buck - Up to $450.00 savings on tax returns. Osler Technology - AMA Queensland members receive a $70 discount off the Osler Clinical ePortfolio, a highly efficient clinical portfolio that helps you meet your CPD requirements for re-registration. Therapeutic Guidelines - Therapeutic Guidelines provide clear, concise and evidence-based recommendations for patient management, and features over 2,500 clinical topics and 3,500 drug recommendations. AMA Queensland members receive a 20% discount on a new eTG complete subscriptions. Award Service Subscriptions - Information on changes on rates of pay, increases in allowances, amendments to award provisions and much more straight to your inbox.